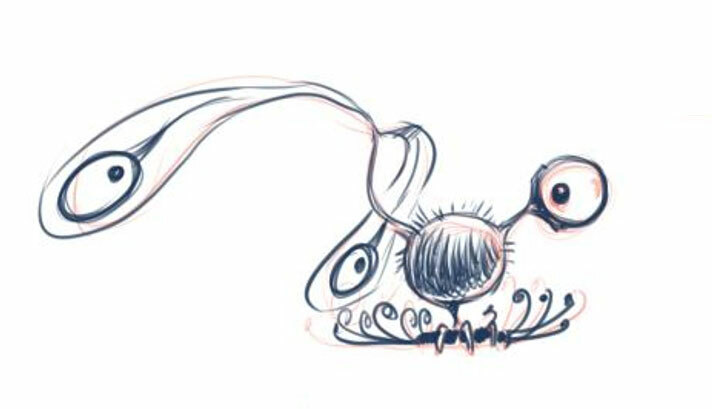 Here’s a sketch of what is believed to be the Chromatic Winged Pea Flit, approximately actual size (depending on your monitor). That’s what we were thinking. We’re also of the opinion that Muffin is a distant cousin to the Wallowmuck. Though it’s not like he’d care to admit it!